Great little pot. Fantastic for making a small block of cheese and soft tofu, which is what I made with mine. You need more than one for most recipes I've seen. This ricotta basket is specially designed to help the cheese breathe well so that it is light sweet and moist. Has a handy storage container too. 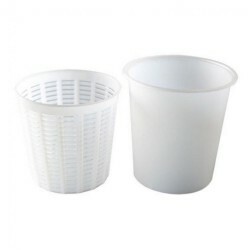 Large Ricotta Container and BasketLarge ricotta container specially designed to help the cheese .. 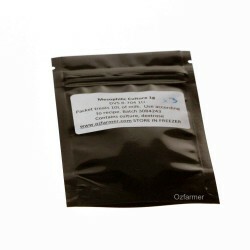 Ensures accurate monitoring of the milk temperature to certify optimal conditions for starter cultur..
White Mould Culture Blend 5 packThis is a freeze dried mixed blend culture containing Penicilliu..
Sourdough Kit for Homemade Artisan Bread in 15 minutes​Make your daily artisan sourdough loaf ..